Here are the steps clan members need to carry out in order to get listed with the [FC] tags while playing, and to get the clan logo displayed on the sides of vehicles they drive. 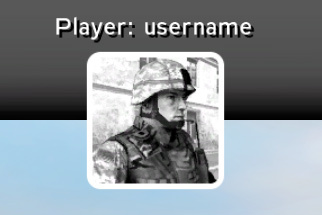 First, from the main menu, click your profile name at the top left of the screen. The default profile name is the same as your Windows username. The next screen shows the currently available profiles. If you haven't already set up a profile you will see only the default. Click Add on the right to create a new profile and name it the same as your clan nick, with the same capitalisation and including brackets but without [FC]. Make sure you name the new user exactly the same as your clan nick. 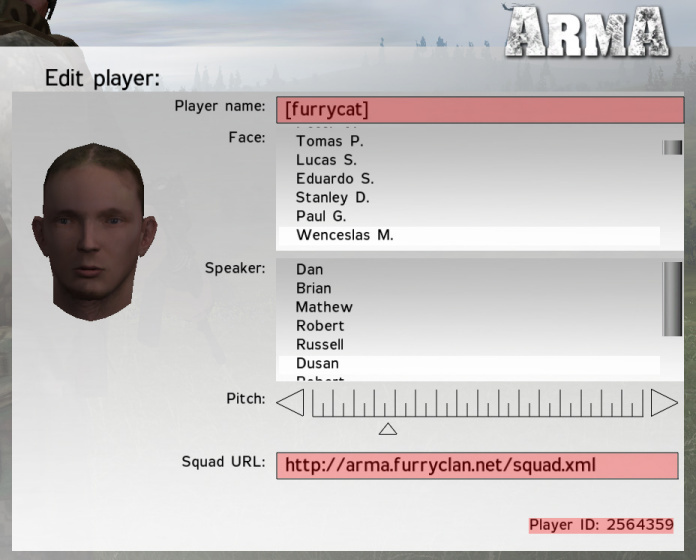 Enter http://squad.furryclan.net/username/ in the Squad URL section, where username is your LDAP username. Also note your Player ID at the bottom right of the screen. This is generated by the game based on your CD key and cannot be changed. Head over to the admin page (where you can also check your username) and enter this number next to ID under Armed Assault details. Next time you join an online game you should show up with [FC] after your nick! Your new profile will not inherit any game settings. You will have to set your controls as well as your video and sound options.